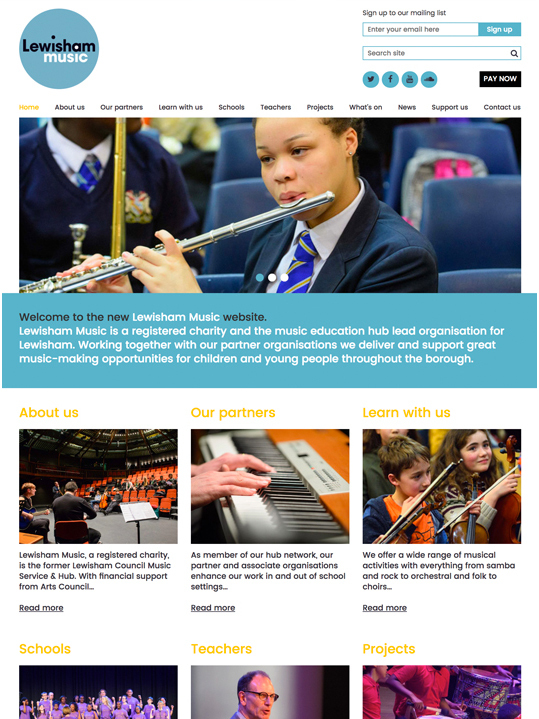 We were approached by Lewisham Music after they saw our work for Newham Music. 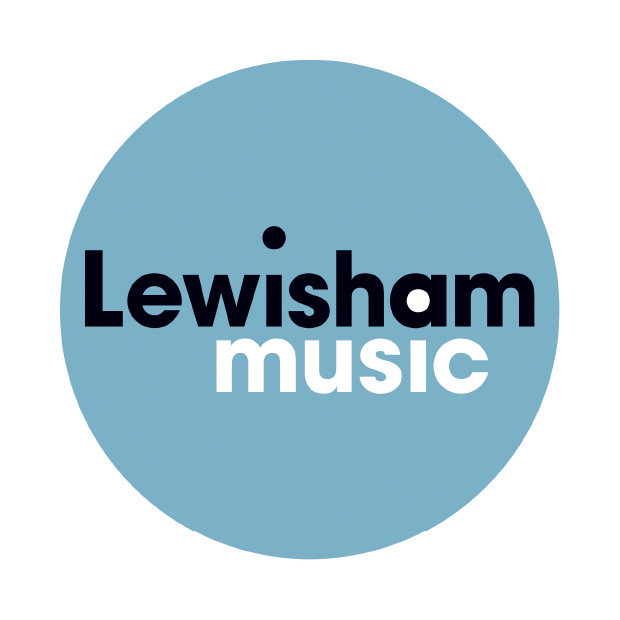 Both organisations have a similar purpose, and Lewisham felt we were the perfect fit for their new organisation - having split from Lewisham Council to form their own music charity. We approached the project in a similar manner, balancing contemproary design with accessibility, creating a brand that was friendly but authoritative. The logo needed to work across all media so simplicity with a twist was the objective. The simple touch of using the counter of the ‘a' as the dot above the 'i' in music was sufficient to achieve this. 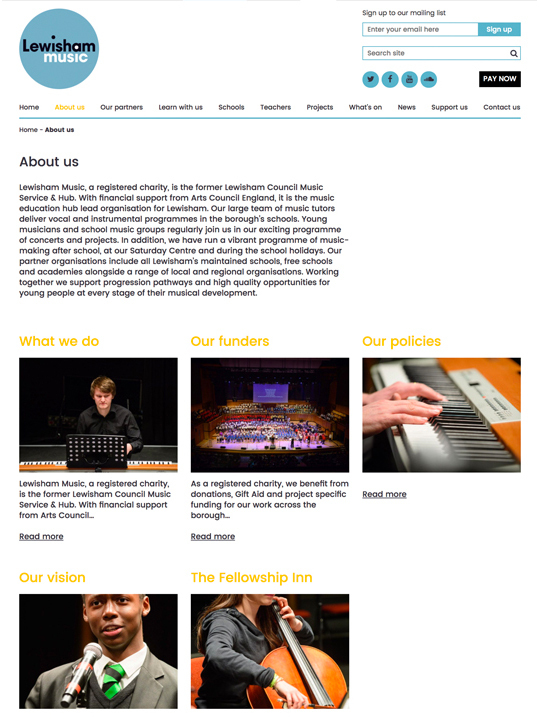 Colours were kept to a modern palette using blue and black for the main logo complimented by a much bolder accent colour of yellow within the website. The website carries a lot of information about services and performances so needed easy navigation coupled with a clean layout, allowing the content to speak for iteself. The client was really pleased with the outcome and are proud of their new identity and web presence. As a newly formed charity we knew we had to get the branding right – this is where Hold entered, and they were splendid from the off, they took on board each of our verbose thoughts and meticulously crafted these into ideas, sending swathes towards us, each one taking us in different tantalising tangents. The resulting logo and website are a tour de force of design and we are chuffed to bits with our new look. We would highly recommend Hold.